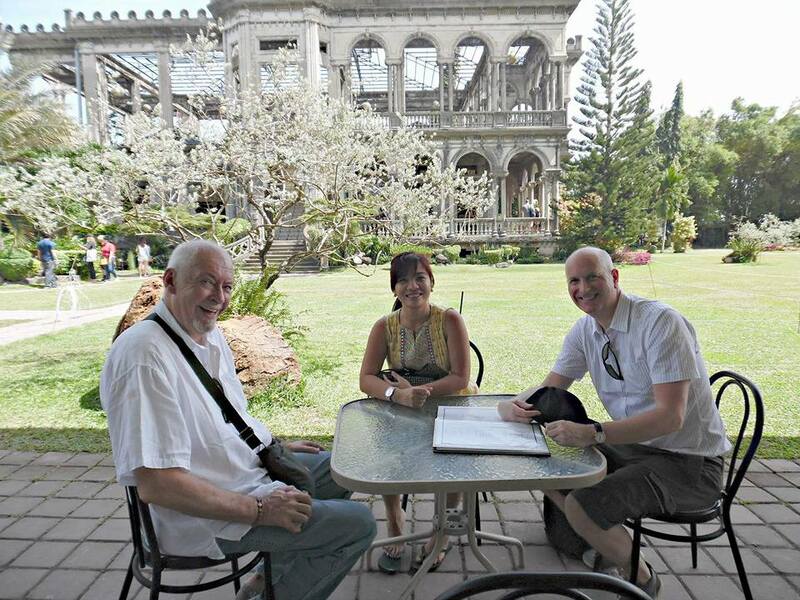 This post first appeared at Expat in Bacolod. It has taken me the best part of two years to finally visit and it was worthwhile. It is a superb destination and only a short distance from the city. 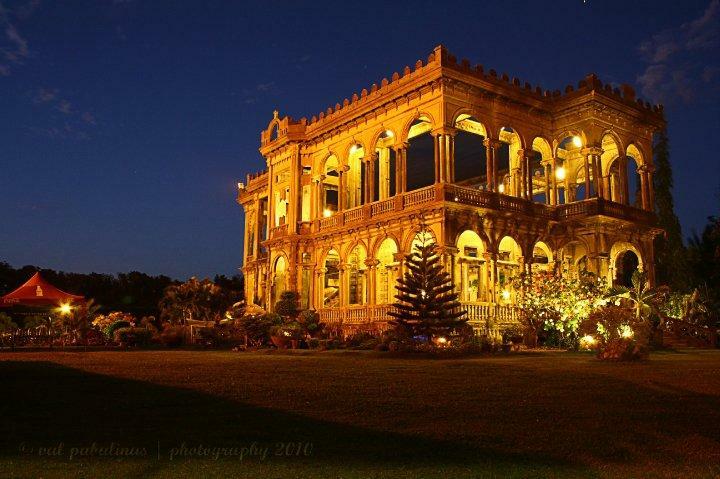 Some know it as the “Taj Mahal” of Negros Island because of the sad love story that underpins the history of the grand building. It is a shell now, but a magnificent shell. It’s a shell owing to the fact it was burnt to the ground. During WW2, when the United States Armed Forces in the Far East came to the area, there were some rumors that the Japanese forces might use the mansion as its headquarters. To prevent it from becoming as such, the mansion was burned. 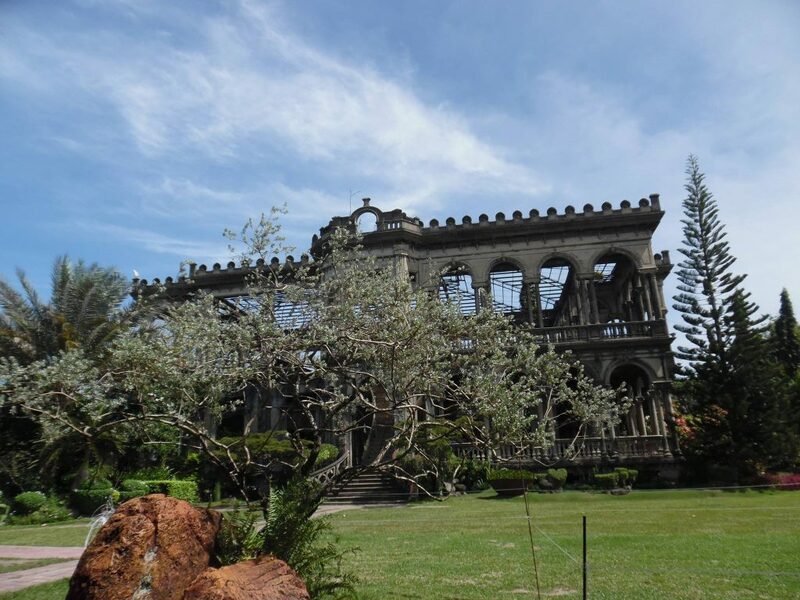 It took 3 days of burning to consume all of its roof, ceiling, floors, doors and windows – all of which were made of hard wood like tindalo, narra, and kamagong. When the flames finally died down, only the following had withstood the fire: the pillars of the mansion, the grand staircase, as well as parts of the two-inch wooden floors on the second story. Love, so goes a saying, comes from the most unexpected places. That happened to Don Mariano Ledesma Lacson, who frequented Hong Kong with his friend when he was a young man. There, the sugar baron met Maria Braga, a Portuguese lady from Macau. Smitten by her beauty, he courted her and eventually married her. 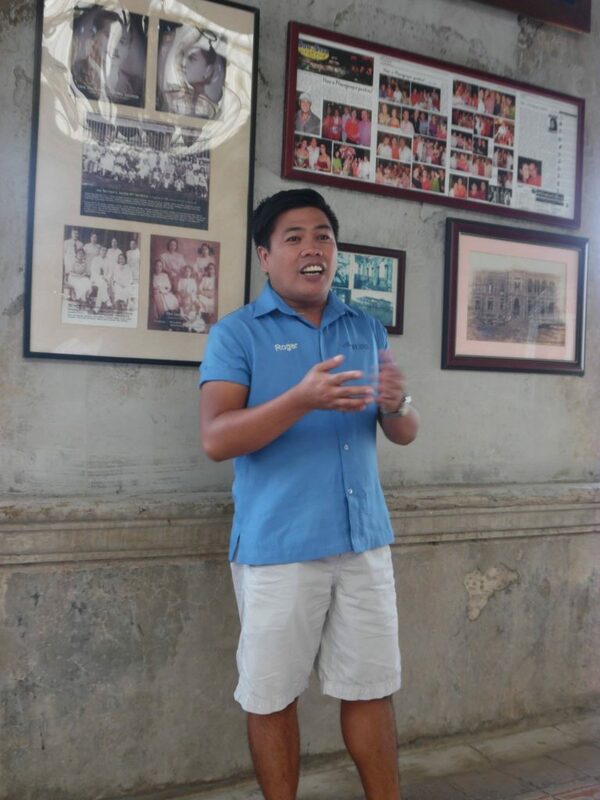 Don Mariano brought his wife to Talisay and started their own family. They were blessed with 10 children, two of whom became government officials. When Maria was pregnant with her 11th child, she slipped in the bathroom and started to bleed. 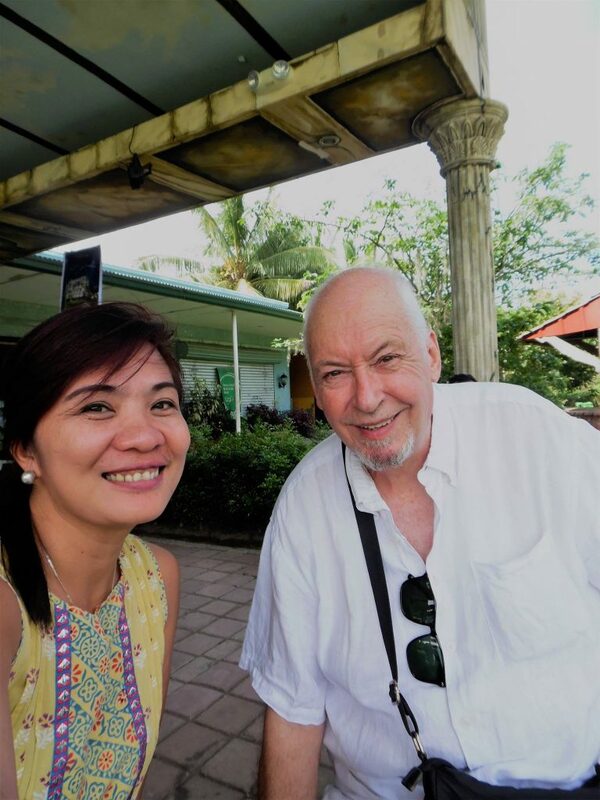 In those days, in 1911, it would take two days to travel with horse-drawn carriage from Talisay to the town of Silay, where a doctor lived. By the time the doctor arrived – on the fourth day – Maria and her baby were gone. 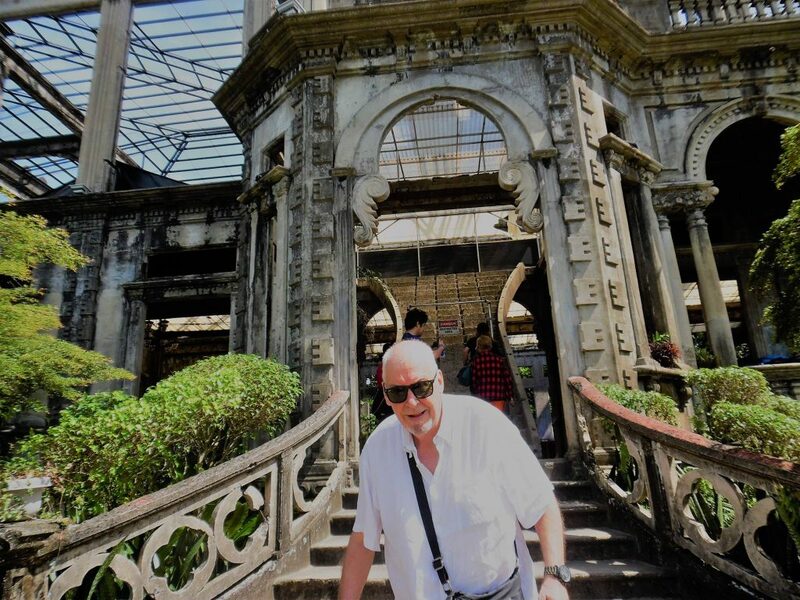 Her death brought Don Mariano to depression; to get him out of it, he embarked on building a house in memory of his wife. Don Mariano Ledesma Lacson was a captain of his own ship. 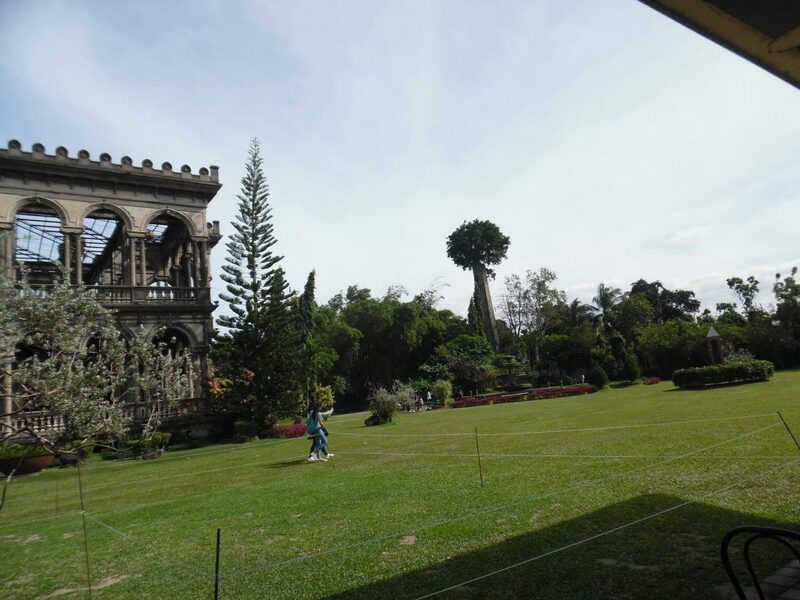 Many items from Europe and China, ranging from machuca tiles, chandeliers, and china wares were carted to Talisay. He even brought some construction workers from China to help build the mansion. After 3 years of construction, the mansion was finally finished. The A-grade concrete and oversized twisted bars used in its construction have contributed much to the strength of the skeletal frame of the structure. The finishing touches on the walls and posts were a mixture of pure concrete with egg whites, resulting in a marble-like finish which can be seen and felt even to this day. 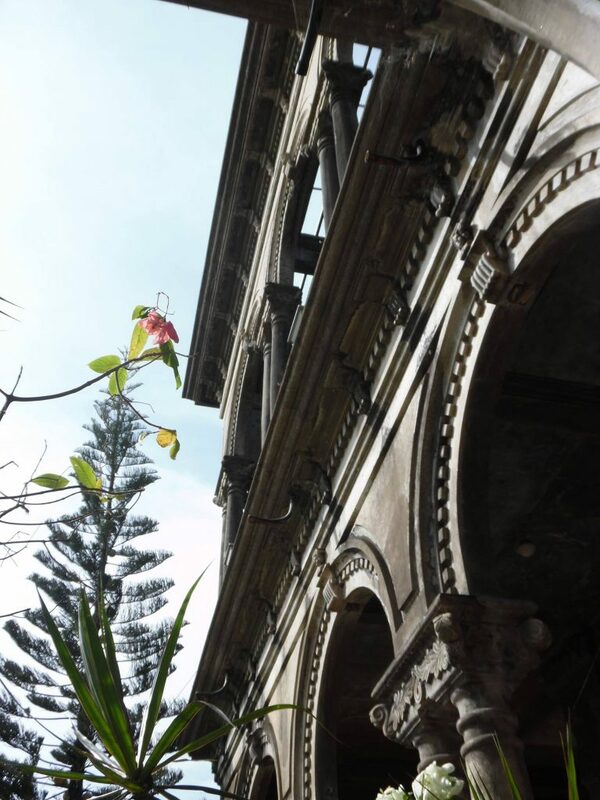 Because Don Mariano built the mansion in honor of his beloved wife, as proof of his unwavering love for Maria, you can see their initials molded on every post of the mansion, The 2 Ms facing each other (looking like an E at first glance), stand for Mariano and Maria. A great day out! 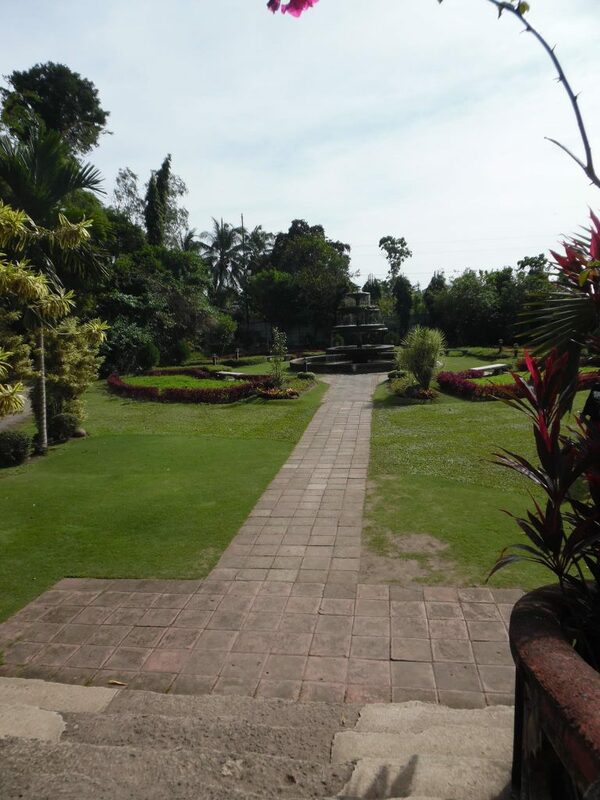 You can easily spend hours here wallowing in the ambiance and the history of the place. Roger* is the esteemed guide and he gives his talk on the half-hour. Don’t miss it, he is funny and informative. An added bonus was meeting my friend, Ben, for the first time and taking him to the Ruins. The gardens are also a treat for sore eyes. It is such a relaxing place. There is also a cafeteria serving food and coffee. We tried the pizza and it was delicious. The native coffee is also very good. Will I return? You bet! *PS note to Roger – it wasn’t “the US – Japan war.” It was the Allies against Japan. The Allied forces fought against both Hitler’s Germany and Japan. Those soldiers, sailors and airmen came from many countries including mine, the United Kingdom. Many young men gave up their lives in the struggle. My own grandfather was in action against the Japanese. He served in the British Royal Navy and was on board when the Japanese sank his ship the Prince of Wales off Singapore. He survived but hundreds did not. Many Filipinos also fought and died in guerrilla warfare against the Japanese invasion of the Philippines. So, please modify your description of that war to accurately reflect what it was all about. How to get there: A cab ride from Bacolod City will take about 15-20 minutes; it is 10-15 minutes away from the Bacolod-Silay airport. Take the Circumferential Road (new access road to the airport) and turn west upon seeing the sign to The Ruins. Alternatively, head out toward Talisay from the city and take the Bata fly over with the new Ceres North Bus terminal on the right. Take a right about 1 km after the bus terminal. There are tricycles at the Ruins to get you back to the National Highway if you wish to ride a bus back into Bacolod. You can find the Ruins Facebook page here.